Green plumbing is a great efficient method to save money and create an eco-friendly household. As global warming becomes an ever-increasing concern in Canada, many homeowners in Southwestern Ontario are investigating ways they can make their homes eco-friendly. While there are certainly large changes you can make to your home to make it greener, things like retrofitting it with solar panels, energy efficient fixtures, and insulation can take a lot of money you don’t necessarily have. We are huge proponents of the idea that every little bit helps, and we appreciate that even small changes to your daily habits can have a huge difference. Running an eco-friendly household doesn’t have to involve an exhaustive list of invasive home renovations, nor does it have to take a huge bite out of your savings. In fact, going green can involve a few minor adjustments to your plumbing habits and you can end up saving money! Today we’ve provided a list of green plumbing tips that you can easily introduce into your household’s routine. We’ve compiled this list because of the water, energy, and cash savings that they offer. How and when you choose to use the water in your home can have a direct impact on your energy consumption. Your first step is realizing when you end up using more water than you need, and your second is to slowly cut down. Here are several easy ways most people can save some liters. There are other methods you can do to conserve water. However, by turning these common techniques into habits, it will ultimately save you money in the long-run. Many of us rely on harsh, caustic chemicals to get our homes spick and span, but in reality, we don’t need these toxic cleaners to get the job done. There are a variety of eco-friendly products on the market that can ensure your home is clean without tainting the water supply or leaving behind noxious residues in your living spaces. You can even make your own cleaner using vinegar and essential oils. We also have a line of green drain cleaners to help you keep the insides of your pipes clean and clear. You can purchase affordable low-flow aerators and showerheads at most hardware stores. They are inexpensive and relatively simple to install, yet they can come with huge benefits. Aerators can cut down your water and energy consumption by 50%. If you feel uncomfortable installing these devices on your own, pick up your phone and call us for help. A leaking faucet or showerhead is one of the most deceptive issues affecting your plumbing and drainage system. A few drips here and there may not seem like much waste, but they can really add up. A tap that leaks a single droplet of water every second will waste over 11,000 liters of water each year. To put that into perspective, that’s the equivalent of 180 showers! A running toilet is even worse – and it isn’t because of its incessant noise. A leaking toilet can waste up to 750 liters a day, which amounts to over 270,000 liters if left for a full year. 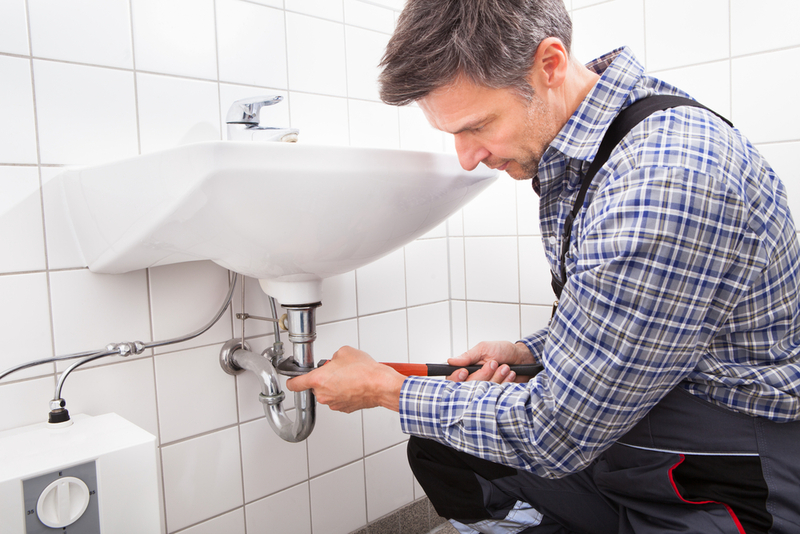 By simply arranging a quick maintenance visit from one of our expert plumbers, you can eliminate these leaky fixtures and conserve water and money. They’ll inspect more than just your faucets during their sweep; they’ll also ensure your toilets, showerheads, and pipes are in working order. Going green can be simple, especially when you have our team of plumbers ready to help you make the transition. Give us a call and see what kind of difference you can make. Saving the planet also comes with money savings you can put in the bank. It’s a win-win!